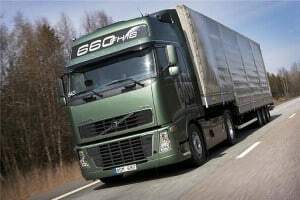 The Freight Transport Association's Logistics Carbon Reduction Scheme (LCRS) has reached the important milestone of welcoming its 100th member. Rawley Plant has now officially signed up to the scheme and helps to bring the number of vehicles monitored and accredited by LCRS to more than 74,000 in the UK. It is a significant development for the project, building on growing industry appreciation that means more and more businesses will aim to become LCRS approved in the years ahead, bolstering the nation and the logistics sector in particular in terms of efficiency savings and emissions management. Howard Rawley, managing director of Rawley Plant, commented: "As members of FORS and holders of ISO140001, environmental concerns are important to us and, despite our small size, we feel that we have a part to play. "We have been a member of FTA since 1970 and are happy to participate in the LCRS to show that our industry can contribute to reducing carbon emissions." Launched in late 2009, LCRS has gone on to be endorsed by the Department for Transport for its ability to help members to better manage their green commitments. Some of the main features of the initiative include the fact it is free to join and provides participants with a means of demonstrating their outstanding green credentials – a prerequisite for entry. In addition, the scheme delivers a framework for how companies can improve emissions reduction and recording, as well as keeping members up to date with the latest developments in the fields of automotive efficiency and green policies. LCRS also saw its first official industry partner come onboard last year, with tyre manufacturer Bridgestone fully supporting the work that is being carried out under the framework.